India has shot up in LTE availability rankings to take the 15th rank globally thanks to Reliance Jio's 4G rollout. According to OpenSignal's, 'The State of LTE' report published earlier in the day, this was a "rare instance in which a single operator can have an outsized impact on a mobile market in just a short time." The report is based on 19.5 billion measurements conducted on 5,58,260 devices during a sample period from January 1 to March 31. The global report also highlights the fact that LTE's reach continues to spread and in some East Asian countries, LTE signals are becoming as ubiquitous as 2G and 3G signals. "In the vast majority of countries we examined, our testers were able to connect to LTE more than 60% of the time," the report notes. South Korea continues to lead globally with its exceptional LTE coverage and average 4G download speed. OpenSignal notes that South Korea has 96.38 percent 4G availability. followed by Japan and Norway with 93.48 percent and 86.96 percent availability respectively. 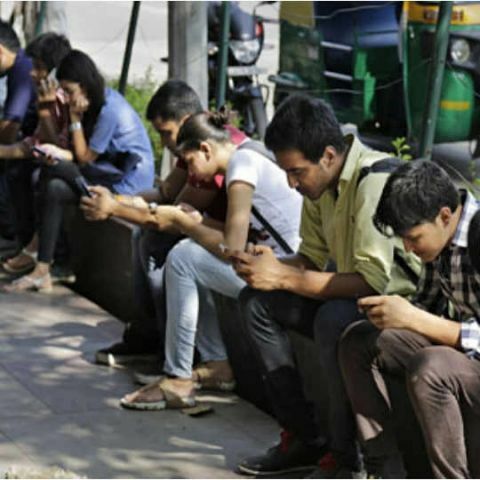 The United States of America came in fourth with a 4G availability of 86.5 percent, while India's 4G availability has increased to 81.56 percent. While India's 4G availability has improved, the average 4G download speed continues to languish at just 5.14Mbps. The report says that making 4G available to more users has come at the expense of lower average speeds. Singapore has the fastest 4G LTE speeds with an average download speed of 45.62Mbps, followed by South Korea with an average download speed of 43.46Mbps. Hungary comes third with 4G download speeds of 42.61Mbps. 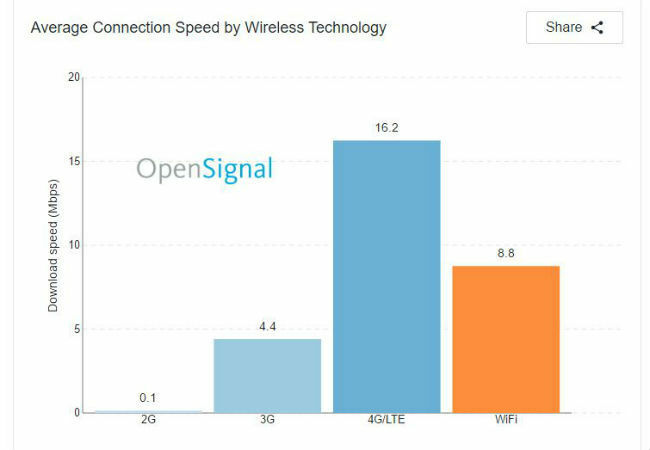 OpenSignal's report suggests that the average download speed on 4G LTE globally came in at 16.2Mbps, while on WiFi, the speed is 8.8Mbps. The average download speed globally on a 3G data network is at 4.4Mbps and that on 2G is 0.1Mbps. Reliance Jio made its services public availability in September and claims to have over 100 million subscribers. The company says that it has over 72 million paid Jio Prime subscribers, but it is apparently yet to reach parity in terms of average download speed.